Basic physiological functions necessary for survival, such as pumping blood, cellular repair, and internal temperature regulation, require energy. The rate at which calories are consumed to create the energy needed for these functions is the Basal Metabolic Rate or BMR. This varies among individuals, but is typically 70 calories per hour. A person�s basal metabolic rate is primarily determined by a combination of genetic and physiological factors. The rate decreases slightly during sleep. The formula needed to calculate BMR uses the variables of height, weight, age and gender. BMR is just the number of calories the body would burn at rest and does not take into account the calories needed to walk, talk, exercise, etc. Once the BMR is known, the Total Daily Energy Expenditure or TDEE, based on an individuals activity level can be calculated using the Harris Benedict Equation. TDEE is the total number of calories needed in order to maintain current weight. Regulation of internal body temperature has a significant impact on basal metabolic rate which increases about seven percent for every half-degree rise in body temperature. When people are running a fever, their basal metabolic rate increases. Some medications can also have a significant impact on basal metabolic rate, which is why weight gain is a common drug related side effect. Anti depressant medications tend to lower the rate and cause resulting weight gain. When you are prescribed a medication, make sure to talk with your physician about its possible side effects, and discuss your concerns about a particular medication�s potential to impact your diet and weight loss program. It is not unusual for people to experience a temporary increase in their basal metabolic rate following an injury. This happens to aid the body create new tissue and to repair and rebuild structures within the body that were damaged as a result of the injury. Consumption of an excessive quantity of high fat foods or foods that are high in refined sugar can result in a decreased metabolic rate. Because these types of foods are low in both fiber and bulk, they have a negative impact on basal metabolic rate. Consumption of foods that are not high in fiber or bulk content slows down the rate at which the foods can move through the digestive system. Therefore, the body absorbs more calories from these foods than from foods that are high in fiber and bulk before the foods pass through the digestive system. Additionally, proper nutrition plays an important role in regulating body mass index. Eating a well-balanced diet that includes ingredients from all of the major food groups in moderate quantities is the best way to eat for weight loss and maintenance, and also helps keep your basal metabolic rate functioning efficiently. 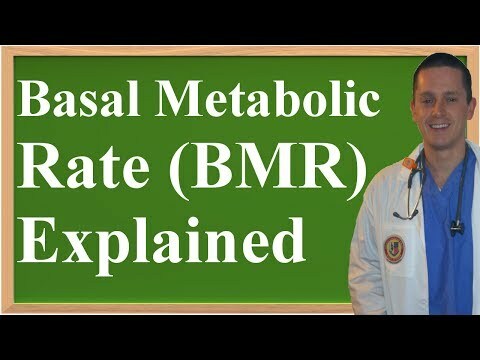 While most people concerned with weight loss and fitness tend to focus their attention of diet and exercise, it is also beneficial to be aware of what basal metabolic rate is and how it may impact weight loss. Diet and exercise only bring about weight loss when the number of calories a person burns off is higher than the quantity of calories the person consumes. Basal metabolic rate is the determinant of the rate at which the body burns calories. So, when talking about reducing calorie consumption and increasing activity levels to bring about weight loss, it only makes sense to include considerations associated with basal metabolic rate in the decision making process.